Amazingly charming and romantic evening dress in elegant fabric which is also easy to care. The fabric is soft and airy and the dress appears truly genuine and sensual, its ethereal character will enhance your appeal. 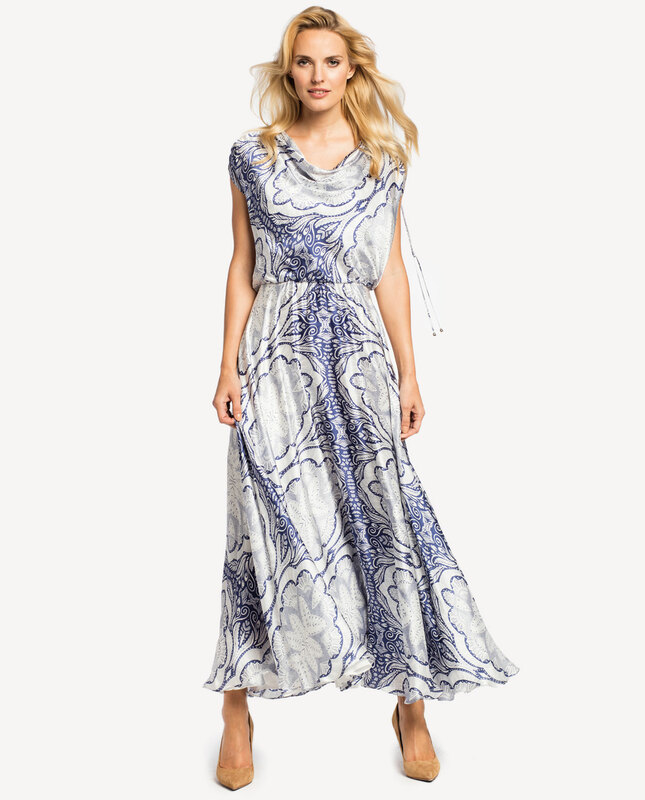 A maxi dress is an essential item in your wardrobe. The dress will enliven every summer time look. 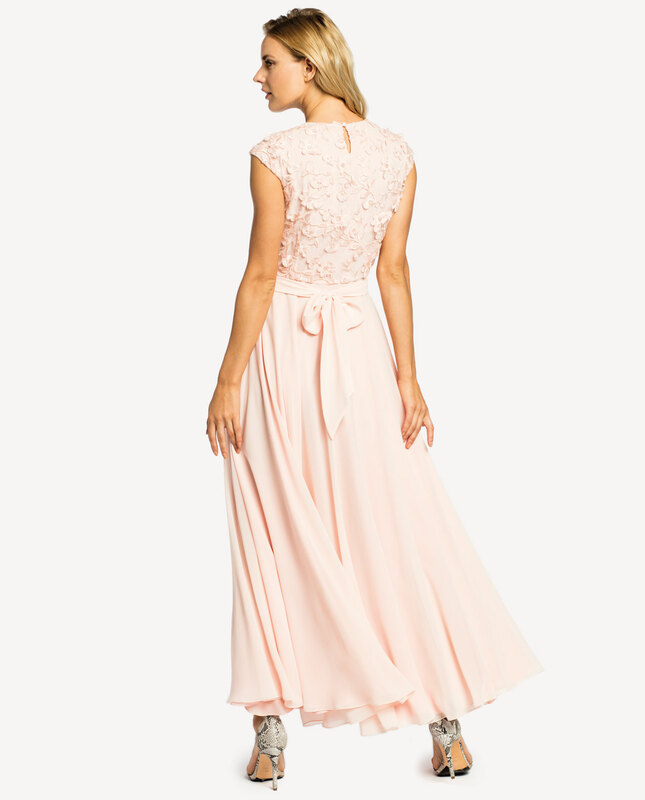 Guipure elements on the top, the skirt is plain and shapes gorgeously when set in motion. A sash at the waistline helps accentuate your silhouette and achieve an hourglass shape. A concealed zip in the side and a subtle button, a droplet hollow at the back. 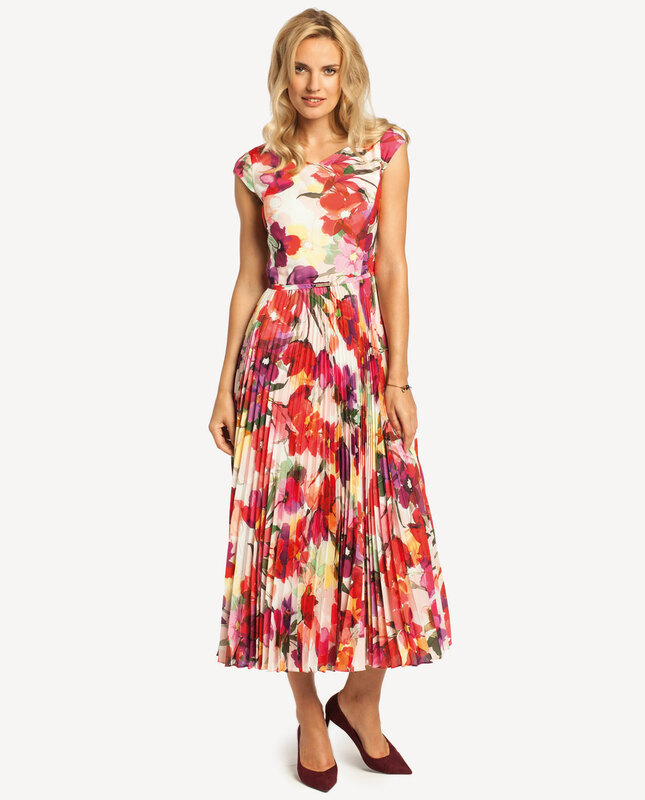 It will be a perfect pick for grander occasions or evenings out. Accessories seem rather redundant here: delicate sandals and a purse will be just fine.